This isn’t related to my normal topic (food! 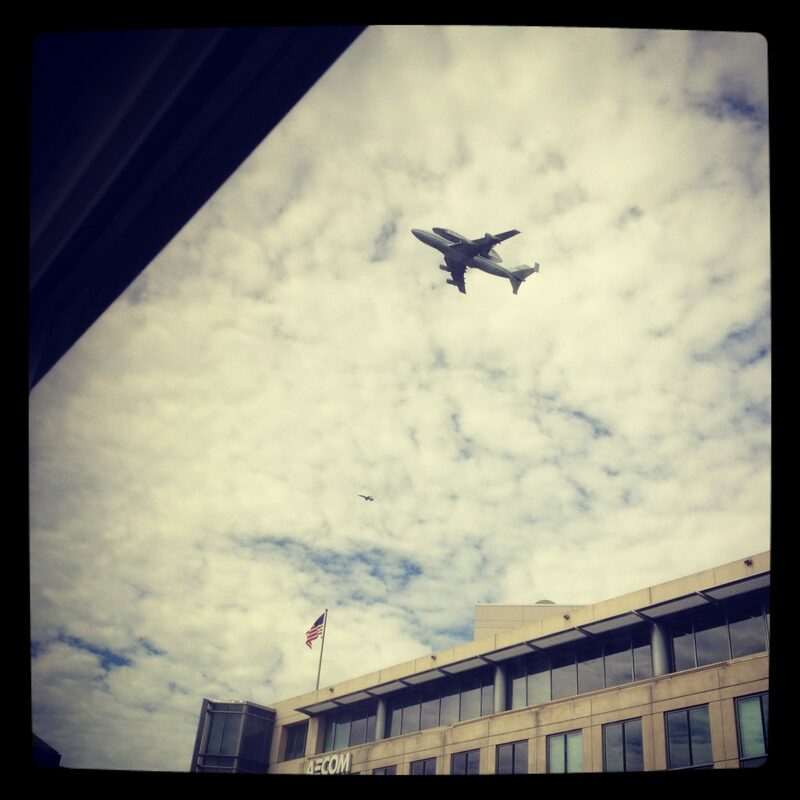 ), but the retiring space shuttle Discovery few over my office on its way to its final resting place at the Udvar-Hazy Center. I managed to snap one photo before it soared out of site. Read more about the suttle’s last flight. 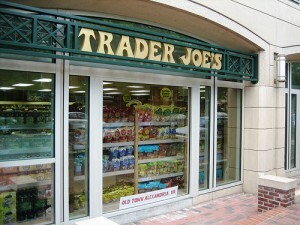 Someone will have to "pack their knives and go." 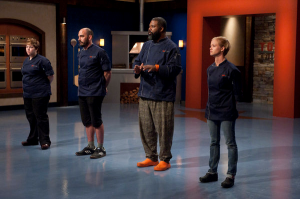 I’m watching Top Chef again. Just like last time, I’m moaning that every season is the same. 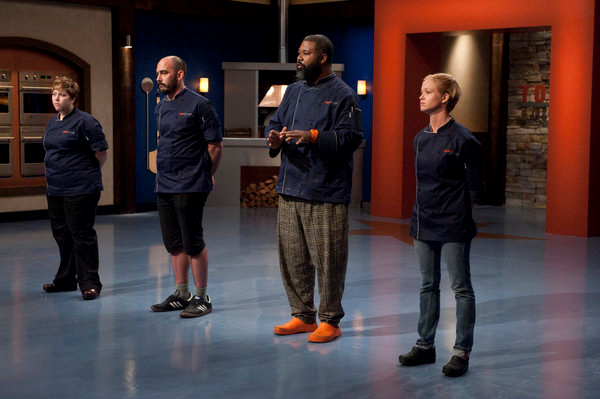 Apparently, the chef-testants don’t watch the previous seasons, because this year — just like all the rest — several have broken the show’s cardinal rules. 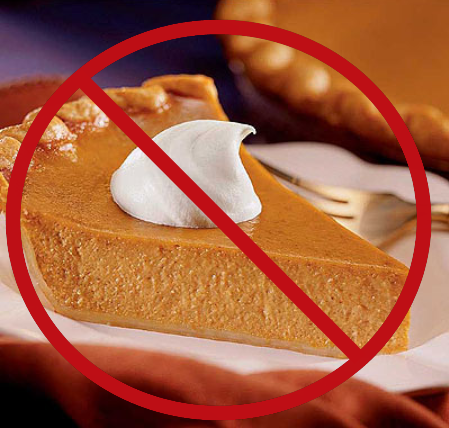 In honor of the show I love to hate, here are the top things I’ve learned to never do on Top Chef. 10. Volunteer to be front of the house during the restaurant wars episode. Yeah, the other cheftestants told you that you are a combination of charming and efficient — making you perfect for the job. That’s because they are smarter than you and know this role is the kiss of death. 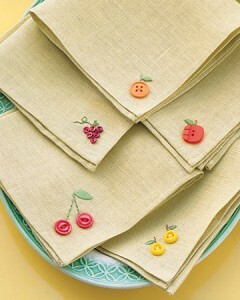 Martha Stewart embroidered fruit napkins: Please shoot me if I ever make these. These days, like anyone plowing towards 30, I’ve gotten a lot of adulthood thrown at me in the last few months: a wedding, a house and a lot of new bills to pay. On top of that, I’ve been abandoning my hand-me-down collection of furniture and kitchen supplies. Thanks to the wedding registry, I now own a lot of the typical trappings of adulthood: matching towels, two changes of sheets and a complete set of silverware. Life does feel more official when you don’t have to drink wine out of coffee mugs and make scrambled eggs in a wok. But despite the array of appliances and dinnerware that hid in my cabinets, I still didn’t have one thing that most normal homemakers own: napkins. Why buy napkins when paper towels do double duty as mouth/hand wipes and counter top cleaners? Napkins seemed excessive, expensive and bad for the environment. But more than that, refusing to buy napkins was my one last hold out from the just-out-of-college days when I used to make toast in a frying pan. One day, my compost bin will look like this one. I can only hope. This week, as part of some New Years burst of ambition, my husband and I finally bought a composting bin. For the six months we’ve lived in our house, composting has been one of those “we’ll get to it” activities. 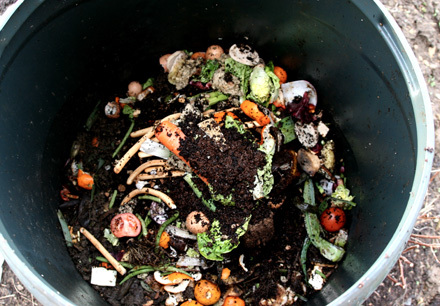 It all seemed so mysterious — not the actual composting, but securing a container to put it in. Whenever I Googled “compost bins,” the Internet returned instructions on how to DYI one from scraps of wood or items scavenged from your neighbors’ trash. Seeing this, I filed the whole idea away in my “for later” brain storage area. I am someone who hasn’t picked up a hammer since my ninth grade Habitat for Humanity camp. And we’ll see if that house is still standing. So, after a brief trip to Lowe’s, I am now the proud owner of this. Yes, like the reviews say, it is a piece of poorly crafted plastic. Now, I am officially a compost-er.